Submitting a report is a responsible thing to do. Sometimes details do matter. 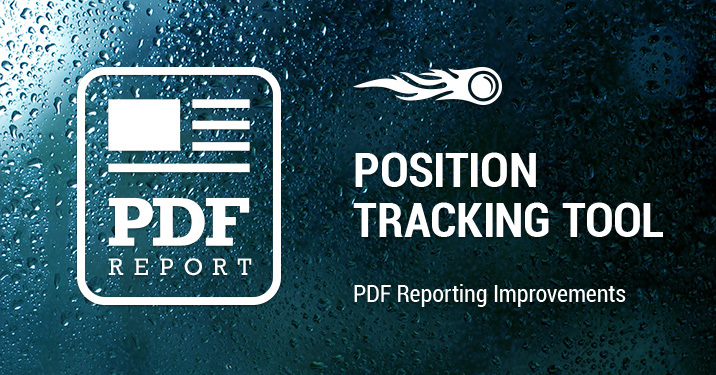 That’s why we've recently made some significant improvements to the Position Tracking tool’s PDF widgets. Let’s get to them. Sometimes you don’t need to show any extra data in your reports. Moreover, unnecessary widgets can take up a lot of space. Now there’s an option to show/hide the ‘CPC,’ ‘Volume' and ‘Previous Position’ columns in the Keyword Rankings table widget. Also, you can select which type of search volume to display in your report: local or national. In the Rankings Distribution widget you can now select which of your competitors you'd like to compare. Again, just a smart trick to save some space in a report -- if you need to compare many competitors, the widgets might be too big, which will make it difficult to focus on what’s important. Now you’re able to set the comparison widget to show up to five of the most important domains. New to the My Reports tool? Learn more in the SEMrush Knowledge Base. We hope this update makes your reporting more easy and efficient. Feel free to send your comments, ideas and suggestions to [email protected].